While India has certainly become the main global force in terms of T20 cricket, they have attempted to make similar inroads with football. It’s a journey that has had some success as the Indian Super League gathers interest domestically and on a wider scale and the 2017 version is set to be the biggest yet. While admittedly they may be reaching the ends of their respective careers, the ISL has managed to attract some great names within the game and the latest to sign up is the legendary Bulgarian striker Dimitar Berbatov. With the arrival of the former Spurs and Manchester United forward, here’s why 2017 will be bigger than ever. With two new sides and a longer overall season, the format for 2017/18 will be a new one for those that have followed the Indian Super League since its inception. We have 10 teams this season and each side will play each other twice in the regular season which kicks off on Friday November 17. That campaign ends in early March and the top four sides will then progress to the knockout rounds. In keeping with football rules from around the world, three points are awarded for a win, one point for a draw and zero for a defeat. If sides are level on the same number of points then goal difference will come into play and the team with the better goal difference will have the higher place in the table. Semi Finals are held over two legs and these will take place in the second week of March before the final itself. Exact dates and venue for these have yet to be decided but it’s expected that the tournament will conclude before the end of March. Unlike IPL cricket, the play offs are straight knockouts so there are no eliminators or qualifiers here. Therefore it’s a very simple format in comparison with its cricketing counterpart. During the regular season, games are scheduled between Wednesday and Saturday and will kick off at 8.00pm IST. On Sundays we will then have a double header with a 5.30pm kick off followed by another 8pm game. For a full list of fixtures, check the official Indian Super League website. Squads have been assembled over the last few weeks under the new ruling that has reduced the number of foreign players from six to five. These are subject to change but this is what we know so far. A striker who enjoyed a long playing career in English top flight football, Teddy Sheringham’s managerial credentials aren’t quite as impressive. A brief stint at Stevenage lasted less than nine months so he will be hoping to re-build with a spell in the ISL. Sheringham will be joined by his former Tottenham team mate Robbie Keane and Kolkata could have a real star buy here. He’s 37 now but the Republic of Ireland leading all-time scorer has over 300 goals in his professional club career. ATK have some other strong imports too including Carl Baker and Conor Thomas from England and the vastly experienced goalkeeper Jussi Jaaskelainen who earned 56 caps for Finland over a 25 year career. Add in some of the best talent from India including Robin Singh and Anwar Ali and you would have to say that the reigning champions are looking very strong again this season. This is the first season in ISL football for Bengaluru and they begin under the guidance of former El Salvador manager Albert Roca. It’s always tough to know exactly what to expect from any new franchise but one glance at the roster for 2017/18 suggests they may be a little short of star names. There is some experience among the overseas players however with John Johnson among a number of men who have previously played for Bengaluru in the I-League. Abhra Mondal is the first choice keeper and he crosses from Chennai City while Sunil Chhetri is their captain and a striker who will be relied upon to provide some firepower up front. Elsewhere, young striker Daniel Lalhlimpuia is one to watch and he has three full caps for the Indian national side. Of the remainder of the overseas players, Venezuelan striker Miku looks to be the most crucial. An experienced player with 11 professional clubs and 52 caps for his country, his goals could be key to Bengaluru enjoying a reasonable start to life in the ISL. 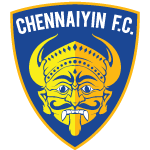 Aside from Atletico De Kolkata, Chennaiyin are the only side to have won the Indian Super League so far. Their triumph came in 2015 when Marco Materazzi led them to glory but for 2017 there is a change of coach with former Aston Villa boss John Gregory coming in. This is a competent squad that will be led by Spain’s Inigo Calderon but it’s perhaps one that is lacking in star names. Last year’s leading scorer, Brazilian Elano, has also departed so the question is, where will the goals come from in 2017/18? Much could depend on Nigerian striker Jude Nworuh who starts in the Indian Super League for the very first time. The Brazilian theme is continued with defender Mailson Alves and midfield maestro Raphael Augusto forming a decent spine of the team but while there is experience, is there enough star quality to help Chennaiyin get to the knockouts again and maybe even go a step further as they did in 2015? 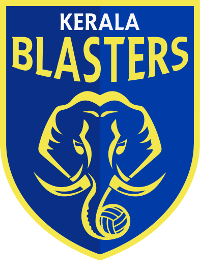 2016 saw the Dynamos finishing third in the regular season before going down to beaten finalists Kerala Blasters in the semis. Among those responsible for a decent season were local player Kean Lewis and Ghana striker Richard Gadze who scored four and five goals respectively. For 2017/18 however, both men have moved on with Gadze now playing in Azerbaijan and Lewis across with ISL side Pune City so the key question is where are the goals going to come from? It’s good to see some overseas youth in the Indian Super League and 22 year old Dutch striker Jeroen Lumu was considered a decent international prospect when he started his career with Willem II. At 34, Nigerian forward Kala Uche is another new signing at the other end of the age scale while Guyon Fernandez from Curacao also joins up for 2017. With so many new faces in their overseas roster and none of them being particularly well-known, those strikers must gel quickly if Delhi are to progress beyond the regular season once again. They were bottom of the table in 2016 so is there any hope that Goa can improve on that position ahead of the new campaign? 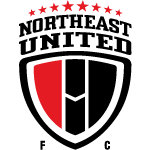 Issues were in defence where the club shipped in 25 goals and in contrast, they had two players who registered highly in the individual scoring charts. Brazilian Rafael Coelho scored five times in the regular season while Sahil Tavora was equal second in the scoring charts for domestic Indian players. Unfortunately, Coelho is currently out on loan while Tavora is now with Mumbai City so once again it’s a question of who will score the goals that will see the side improve. The Spanish pairing of Adrian Colunga and Coro are important this year and both had reasonable starts to their careers in their native country. In fact, there are six Spaniards in this Goa squad and that must largely be down to the appointment of Coach Lobera for 2017. A Spaniard himself, Lobera will have hopefully scoured his country for some promising talent. 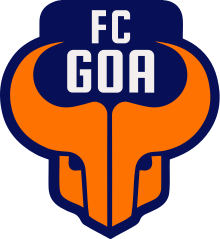 Goa have some good local players and if the Spanish imports can make a difference, they should certainly climb away from that bottom place and edge closer to the knockouts this season. The second of our two new teams for 2017 have started with what looks to be a shrewd appointment. Steve Coppell is one of the most experienced managers in the game and having had to cut short his playing career at Manchester United, the former England winger has coached nine teams over 33 years. He was at Kerala Blasters last season, taking them all the way to the final so who are the players waiting to assist Coppell at his new club? There’s a lack of star names but some experience including the Cameroon defender Andre Bikey who Coppell will know from his time at Reading. Elsewhere, the manager has taken some of the Blasters’ players from last season including striker Farukh Choudhary whose opportunities were limited in 2016. Choudhary could be a key player alongside the experienced Ashim Biswas and Haitian centre forward Kervens Belfort. Those three could form an exciting front line while at the opposite end of the pitch, Jamshedpur look to have made a very strong acquisition with keeper Subrata Pal, who currently has 66 caps for the full Indian national side. Runners up in 2016, Kerala Blasters will be hoping to go one better this year and they have last season’s highest Indian goal scorer in C.K. Vineeth. Having made his transfer from Bengaluru permanent, Vineeth is clearly an important figure in another strong side. The real key to success however could lie with Dimitar Berbatov – a real superstar of the game who is looking to extend his reputation into India this year. The Bulgarian has played for Manchester United, Spurs and Monaco and has scored 328 goals so far in his senior career. It will be fascinating to see how Berbatov and Vineeth link up but there is more depth to this Kerala side. Former Manchester United and Leeds United goalkeeper Paul Rachubka arrives for 2017 and has been handed the number one shirt and they have another vastly experienced defender in Wes Brown who has 23 full England caps. For 2017 the club has a new coach in Rene Meulensteen who keeps the Manchester United connection going and having finished as runners up on two previous occasions, the Blasters may have the quality to go all the way this year. 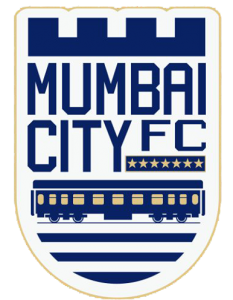 Having topped the table in the regular season, Mumbai have kept faith with coach Guimaraes while the majority of franchises will start 2017/18 with a new man in the dugout. That continuity could help the side who should secure a top four finish while aiming to go a stage further having lost in the semis to eventual winners ATK last year. We’ve already mentioned the acquisition of Sahil Tavora from Goa and that should give Mumbai more options and more depth in attack. Spanish frontman Rafa Jorda also signs on for 2017 as does Brazilian Everton Santos but there’s no Diego Forlan this time around. The veteran Uruguayan was a key figure in Mumbai’s productive 2016 season and the new signings will have to cover for the goals that Forlan would inevitably bring. Another new coach comes in to the division with former Cape Verde boss Joao de Deus signing up but who has he brought in with a view to taking NorthEast beyond the regular season? De Deus will be familiar with Cape Verde striker Odair Fortes who has a reasonable striking record and he may form the front line alongside regular players Seminlen Doungel and Halicharan Narzary. There is a good spine to this team with former Indian under-23 keeper Ravi Kumar between the posts while new signing Martin Diaz slots into defence but goals may be an issue in the absence of Alfaro. NorthEast United’s loss is Pune’s gain with Emilio Alfaro coming into the squad with a view to boosting a disappointing goal tally from 2016 which saw just 13 goals in 14 matches. Anibal Zurdo scored five of those goals but he is now playing in Spain. However, Pune fans should be happier this year with the arrival Alfaro and the ISL’s leading scorer from 2016. Having scored 10 for Delhi Dynamos last season, Brazilian Marcelino is on board in what looks to be the most potent strike force in the division. Pune City finished down in sixth place in 2016; they should certainly score more goals this time around but will it be enough to see them climb up the table and reach the Top Four? Canadian International Iain Hulme was the Hero of the Tournament in 2015 and he also holds two further records. The Scottish born forward is the highest goal scorer in ISL history with 23 goals and he also shares the record number of appearances – 46 – with Borja Fernandez of Atletico de Kolkata. Heading into the 2017/18 campaign, Atletico De Kolkata hold the overall points record in the regular season with 62 from 42 games. This is made up from 15 wins, 17 draws and 10 defeats. 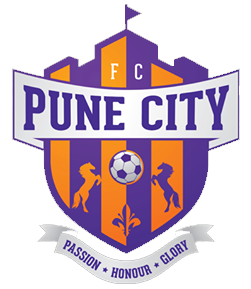 The worst performing team over the first three seasons of ISL soccer have been Pune City whose tally of 47 points from 42 regular season matches includes just 12 wins. 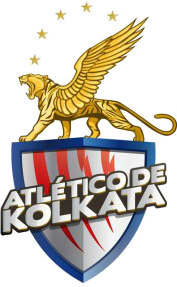 The current highest attendance for an ISL match came in the game between Atletico De Kolkata and Chennaiyin on 16th December 2015. 68,340 people packed in to the Salt Lake Stadium. The biggest victory in ISL soccer to date came in the 2014/15 campaign when FC Goa beat Mumbai City FC by seven goals to nil. The Super League itself was founded in October 2013 with a quest to grow the sport in India and to eventually help the country rise up the world rankings and become a force within the game. Accordingly, the first ever edition of the ISL took place in 2014 with Atletico de Kolkata being crowned as the eventual champions. 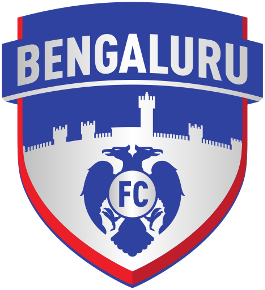 Initially there were eight teams in the league but for 2017 we will be joined by two new clubs, Bengaluru FC and Jamshedpur FC. This helps to spread the game throughout the country and the new sides are very welcome additions. For the first two seasons of ISL soccer, the campaign ran from October through to December but with new clubs coming on board, the 2017/18 season sees expansion taking us from November right through to the following March. It’s a longer campaign and will therefore be a true test of players’ stamina, particularly those who are nearing the end of their playing careers. As we head into a new era, Atletico de Kolkata remain the most successful team in the brief history of the Indian Super League, having followed up their 2014 triumph with another victory in 2016. Kerala Blasters were runners up on both occasions while the 2015 final saw Chennaiyin beat Goa by three goals to two. 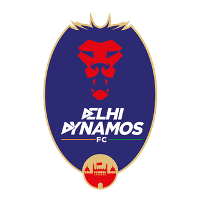 At the end of the competition, an individual award is given for the Hero of the Tournament and the current holder of that accolade is Florent Malouda of Delhi Dynamos. In the first edition of ISL in 2014, Iain Hume of Kerala Blasters claimed the award while the Hero of the Tournament in 2015 was Stiven Mendoza of winners Chennaiyin.